February 1st, the start of a new month, was the day my fishing luck was gonna change.Notice I said luck. I now realize I have no skill in the art of fishing, nada, zip, nary a drop of skill. 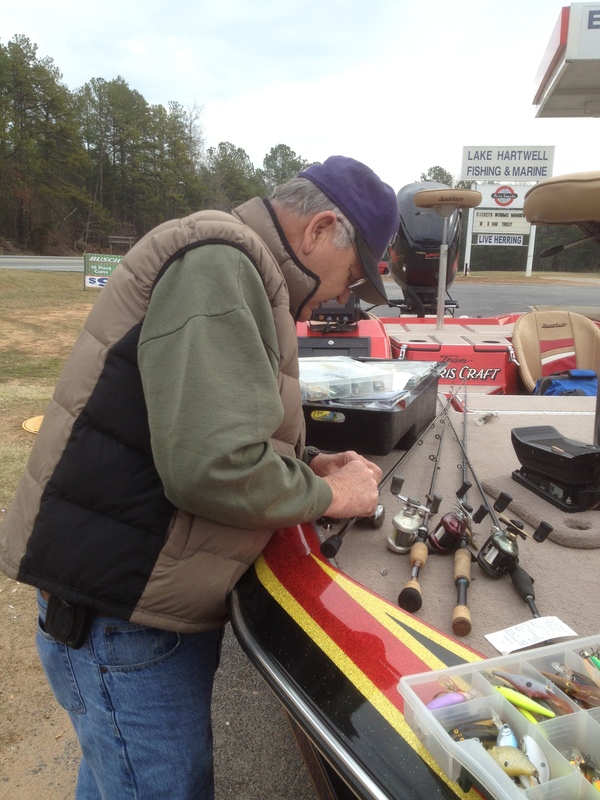 One of my ole fishing buddies, Fat Freddie G, and I went to Lake Hartwell to do some fishing today. Freddie has a 20ft+ Norris Craft boat with a 300HP Yamaha mounted on the back, The boat was loaded with thousands of dollars worth of baits, rods and reels, depth finders and of course an expert fisherman in the person of Fat Freddie G, Twenty five, thirty years ago Freddie and I fished a lot together and always had a good time. To say that Fred and I were competitive would be putting it mildly. We never fished for anything other than bragging rights, but that didn’t keep us from putting a lit cigarette against the others line if one had a big fish on or was catching more fish than the other. Our trips were always filled with plenty of laughter and today, twenty five years later was no different. Fred caugfht two Spots and one good striper and I never heard the end of it. We came by a gentleman fishing from a dock, so Freddie had to tell him how he had caught three fish and I had nothing. 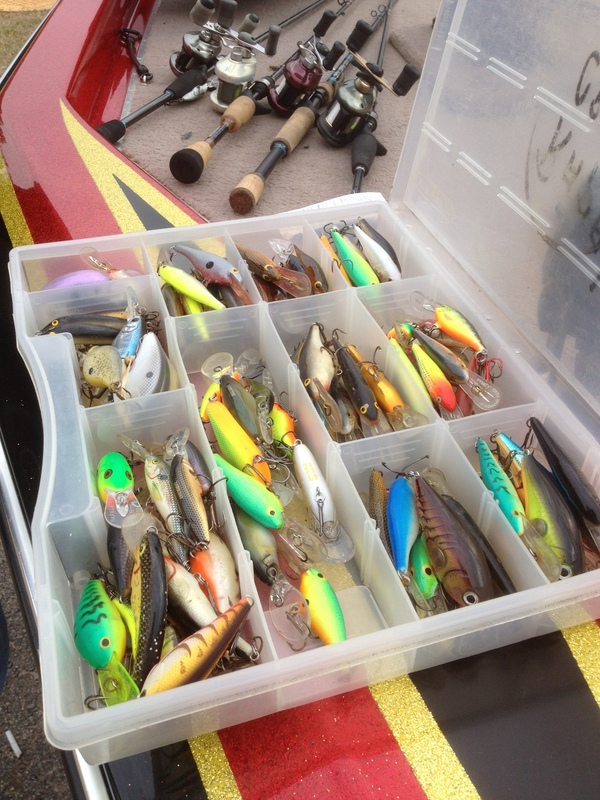 The only thing we could come with was that Fred was fishing with $17-$20 baits and I was using $3 baits.I told Fred next time I would take a Sharpie and put a price of $39.50 on all my baits to fool the fish, that way I would catch the most fish. Well anyway I started the month off with a goose egg, but I will keep plugging away. Well i did not see a new post concerning our trip to Russel You must have forgotten. What are you saying Freddie G?